Thank Social Fridays It's Friday! 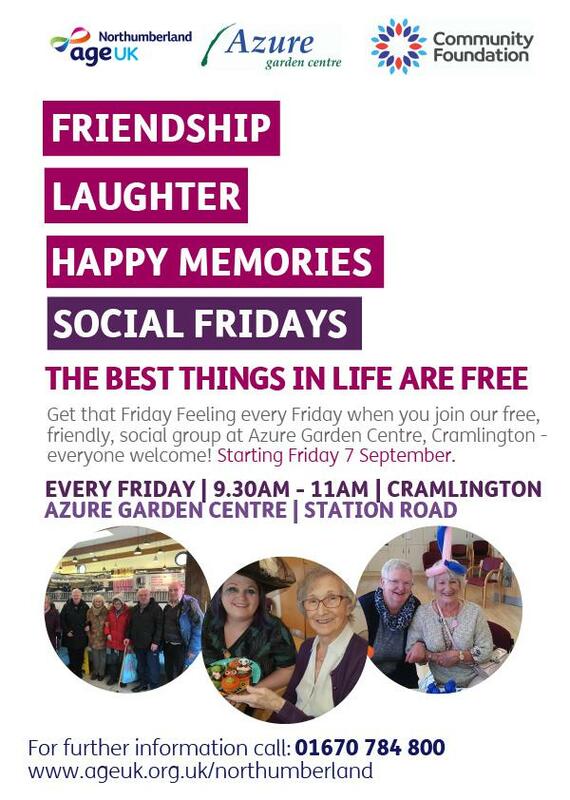 Get that Friday Feeling every Friday when you join our free, friendly social group at Azure Garden Centre in Cramlington! Every week is different at Social Fridays and you can get as involved as much as you like or simply have a cup of tea and a chat. Come alone. Bring a friend. Bring a group of friends!